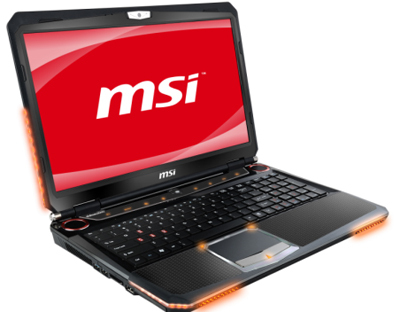 MSI has launched its latest gaming notebook MSI GT663 in India. MSI GT663 is the latest addition in the G series laptop, that features the GeForce GTX 460M with 1.5GB GDDR5 of display memory, nVidia’s high-end discrete graphics card to support DirectX 11. MSI GT663 comes with an Intel Core i7 quad core CPU with Turbo Boost technology, three slots for DDR3 memory up to 12GB of RAM and two HDD of 500GB, 640GB or with up to 1TB of memory. MSI GT663 also comes with a TDE+ double Turbo Drive technology for processor and display performance with one touch of the luminescent Turbo hotkey and Cooler Boost technology. MSI GT663 has a 15.6-inch full HD or HD LED-backlit display, HD webcam (30fps@720p), a HDMI, VGA video output, DVD writer or Blu-ray drive, Wi-Fi 802.11b/g/n, Bluetooth 2.1 EDR, Gigabit Ethernet, two USB 3.0 and two USB 2.0 ports, D-Sub and eSATA and 5 in 1 card reader. MSI GT663 Price in India:- MSI GT663 is available for the price of Rs.1, 49,999 in India.